The most common and unwanted Minnesota household invaders are the ones that you might expect — spiders, cockroaches, flies and ants. These unwelcome guests with six or more legs are unsightly, sometimes unsanitary, and elicit fear and frustration for many of us. The first question for most is how best to get rid of them once and for all so that you can avoid a true problem or an infestation. Eco Tech is a Minnesota natural pest control service, providing all-natural solutions for insect control in residences and/or commercial locations. We can help you rid your home or business of spiders, cockroaches, flies and ants so that you can stop worrying and know that your home is safe, clean and free of these invaders. Spiders are one of the most feared critter despite the fact that most species are harmless and spiders actually eat other destructive insects, mites and other pests. 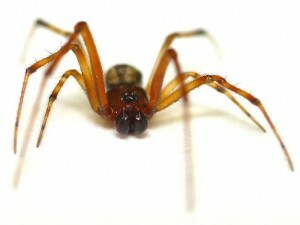 Spiders have 8 legs and are found behind furniture, in corners or in closets or other dark spaces. Even though most spiders are harmless and generally scurry away when humans come near, Eco Tech can take care of the termination of spiders in your home or business. Along with the spiders being gone, the pests or insects causing the spiders will also b exterminated using our less toxic organic product line. Cockroaches are perhaps the most detested of the common household invaders, carrying diseases and contaminating your food and can cause allergies. They crawl in through cracks, hide during the day and feed at night. They reproduce rapidly and can quickly become infested in your home or property. The technicians at Eco Tech are well trained in the complete eradication of roaches. With all of the necessary equipment and materials, our crew has been battling these pests around the Twin Cities for 15 years…and winning! Flies that come into a home or business are attracted to food, garbage and manure and keeping food contained and keeping your home clean is the best way to combat pesky flies. If you end up with a problem with flies, Eco Tech can help you get rid of it once and for all. Ants are the most common insects on earth and generally make their way into your home or business during the warmer temperatures of spring. They are lured inside to find food and can become a real nuisance to you. Let Eco Tech take care of your springtime ant problem. If you think that you have a problem with spiders, roaches, flies, ants or any other household invaders, call Eco Tech today at 1-763-785-1414. Our team can solve the problem with the use of safe, organic, less toxic pest treatment.